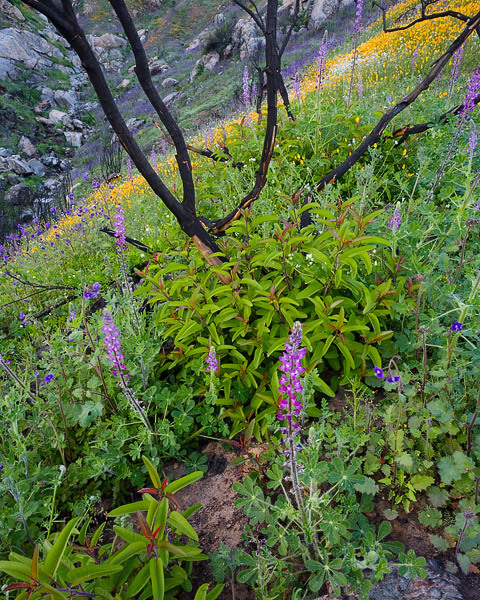 Lupine and poppies grow on this hillside in the middle of the burn zone from the Witch Creek Fire of October, 2007. These flowers and rebirth represent a silver lining of these devastating fires. Photo © copyright by Jimmy Gekas.